Dorset is a beautiful rural county with a varying landscape from dramatic coastlines to rolling chalk downlands. The county is full of quaint villages and towns as well as popular more cosmopolitan tourist areas such as Bournemouth. Lulworth has become a popular tourist spot in Dorset especially during the summer months but it’s not surprising considering all it has to offer. It is a typical Dorset village built around a horse shoe shaped cove. There are numerous walks from the village allowing you to explore the numerous coves and beaches around the village. Just a short walk from the village (although a rather steep one) takes you to Durdle Door, a huge naturally formed rock arch and the dog friendly Durdle Door Beach. Lulworth also has its own Castle and where dogs can explore the grounds. Just a little further around the coast is the ghost village of Tyneham which was evacuated during the second world war so that it could be used for training purposes. Many of the village buildings still exist and house interesting exhibitions about the village. From the village you can access Worbarrow Bay but please note that Tyneham, Worbarrow and the range walks are only open at limited times due to the MoD ranges. 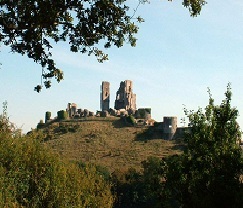 Corfe Castle is another popular village which has a stunning backdrop of the old castle ruins. To add to the charm of the village there is also a steam railway which runs from Corfe Castle to the coastal town of Swanage. Riding the train provides a wonderful way to taste the delights and ever changing landscape of Dorset. There are a number of impressive stately homes and gardens in Dorset. Sherborne Castle, Lake and Gardens is just one. There are over 30 acres of gardens at Sherborne, all landscaped around Capability Brown’s lake, unfortunately dogs are not allowed in the house but are allowed in the grounds on leads. 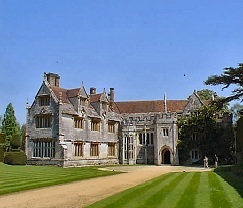 Athelhampton House near Dorchester is a popular stately home with all the attractions you would expect. In the summer they hold open air theatre performances and in the winter show classic and modern films in their cosy private cinema. Kingston Lacy is a National Trust property in the heart of the Dorset countryside and yet resembles an Italian Palace. There are ornate wooden carvings, many works of art, interesting gardens and over an estate of over 8500 hectares to explore. And if all that’s not enough there’s even a tea room with award winning scones. 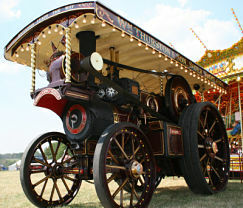 The Great Dorset Steam Fair is held at the end of August/beginning of September and is the largest fair of its kind, the site covers over 600 acres! There is a vast array of attractions to be seen from classic traction engines, cars, heavy horse and sheep displays right through to a state of the art fair ground and monster trucks.